The city of Guanajuato, Gto., Mexico, in the year of 1987 earned the title from THE INTERNATIONAL COUNCIL OF MONUMENTS AND SITES “Joya del Patrimonio Cultural de la Humanidad”. This Inn for sale is located walking distance to many places of interest. Sail up the St. John river to an inn that has been at the head of Belleisle Bay for 200 years. One hour from US border, 2 hours to Anne of Green Gables, Fundy National Park and all the best of the Maritimes, summer and winter. Hilltop 5 bedroom, 5.5 bathroom villa near beaches and towns. 2 kitchens, 2 large outdoor terraces and two mini-pools. View of Pacific Ocean from kitchen and loft bedroom balcony. Profitable turn key B&B operation in the heart of Annapolis Valley wine country,Wolfville, NS.Constructed with attention to detail and quality as a B&B in 1999. 8 bedrooms, 9 bathrooms, 1100 square meters plus adjoining lot, both lots 20 x 60 meters, adjoining lot available for expansion and business development, profitable for over 20 years. TURN KEY, Award Winning, bed and breakfast business. This impeccably maintained property, built in 1874, is one of Yarmouth's grandest historic properties. Guests and visitors have experienced 4.5 star hospitality, in this licensed 4 unit business that has a world renowned reputation for excellence. 21 room iconic boutique hotel with restaurant, bar, 2 pools and 3 bedroom villa. Award Winning impressive, beautifully maintained, and financially viable property located in the quaint and famous prime destination village of Louisbourg, Cape Breton. Beachfront luxury bed and breakfast in Samana Dominican Republic. Whale watching and more! For sale by owner. Opportunity to purchase a private residence or a thriving business in Ireland that can generate anywhere north of 50% net profit on a full- or part-time basis. Offers 5 ensuite bedrooms with sleeping accommodations for approximately 12 guests. Villa Seerose Frühstück Pension Pörtschach on Wörthersee Villa Seerose is a small charming 14 rooms boutique B&B located in the center of downtown Pörtschach am wöerthersee, walking distance from shops, restaurants. Magnificent luxury Mansion "Hotel Particulier", completely renovated. In the heart of the beautiful Eastern Townships, Le Manoir Maplewood offers prestige and comfort, less than an hour from Montreal. Casa Content is nestled on a gentle slope overlooking the bay of Cabo San Lucas (Medano Bay) and Land's End where the Pacific Ocean melds with the Sea of Cortez. This B&B is a singularly unique, 7,000 square foot (10,000 with decks) ultra-deluxe and luxurious home. Wonderful restored and renovated turn key operation. Jamaica’s leading 4* eco-friendly boutique hotel based in a secure location, nestled on a quiet and attractive forested hillside, that overlooks the historic town and yacht harbour of Port Antonio, with stunning panoramic views of Jamaica’s UNESCO Heritage Blue Mountains and Caribbean Sea. Highly-rated, upscale, 8-room bed and breakfast inn located in Rincon, Puerto Rico. Each room has a private entrance and ensuite bathroom. Sold turnkey and fully furnished with reservations on the calendar. Two private owners' apartments add value to this one-of-a-kind property. A historic property on amazing Shelburne Harbour in Nova Scotia. Features eight unique ensuite rooms, c/w private entries and harbour views. Successful highly rated boutique hotel in the historic center of Guadalajara, Jalisco, Mexico within walking distance of 25 gay clubs. 9 rooms with bath plus owner’s suite. Casa Alebrijes is the only hotel/bed and breakfast in Guadalajara that exclusively serves the gay and lesbian market. This is an extraordinary opportunity in Granada! This place, is a one-of-a-kind property, like two properties in one. This is the perfect place for your hotel or bed and breakfast and more. Would you like to be self employed and work from home? Turned key Inn and Restaurant situated in the High Laurentians, Québec, where nature is at the purest. 7 theme rooms, all with private bathrooms. 38 seats restaurant on-site. Large classic style 6 bed ensuite (1 owners) home on borders of Tuscany and Umbria with swimming pool, double glazing, central heating, mains water, 1 hectare with mature gardens , BBQ,very private, run as a B&B. in Dominica, Caribbean Nature Island. Set near iconic Trafalgar Falls. A successful business with years of proven history. This is a beautiful spot and already has a history of 7 years. Number 1 on Trip adviser Speciality housing. Nestled in the pines, on 5 acres, in north eastern Saskatchewan is the North Country Bed and Breakfast. 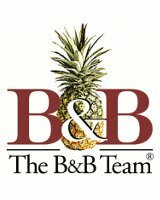 This B&B is being offered as a “turn-key” business with a proven record of excellent service and income. Beautiful B&B on the beach in a small town outside of Rio. 6 bedroom house sleeps 16+. Separate apartment building with a 2 bedroom apartment and a 1 bedroom apartment. Pool in the front yard, Large garage with space above for future buildout. Live The Dream in your own Caribbean Paradise. US$ Bargain: Canadian Location! Close to the renowned Singing Sands Beach in eastern Prince Edward Island, Canada. Fifteen rooms overlook the eight-acre pastoral property with waterfront on Basin Head Lagoon and the largest grass labyrinth of its kind in North America. Swimming pool, guest Lounge. Restored Victorian Inn. Built by a sea merchant in 1863, converted to an Inn in 1946. 9 guestrooms, all with private washrooms. 3 stories + basement. Large, commercial kitchen & dining room. Laundry room, office space, utility room, walk-in freezer. New furnace. Propane for kitchen and hot water. Launched B&B with excellent top rating 5*****feedback on trip advisor and booking.com in a semi detached Villa . Riverside eco-village development in a tropical plantation in Dominica. Operated as an eco-resort. 1884 Victorian Italianate style. Listed nationally as one of Canada's Heritage Properties. Four star rating by Canada Select. Meticulously maintained and operated. Highly recommended on Trip Advisor. Certificate of Excellence and Green Award. Stone country house in the green heart of Italy with launched B&B. Good feedback on tripadvisor.